I think it's the recent muggy/rainy Melbourne weather and a relationship breakup that has gotten me in a brooding mood. Yes, if you were to see me lately, you will catch me staring into space with a fairly woeful expression on my face. Some people turn to food for solace, others turn to friends in times of distress. I turn off food and although look to friends for support, what I find most relaxing is to immerse into the world of scent. Scent can evokes strong memory and is capable of transporting myself into a fantasy world, even if for a brief moment. So lately I'm been burning countless hours of scented candles, hoping the scent will lift my spirits. The ones that impressed me the most has been from MOR(which was previously reviewed) and Glasshouse. Comes in a beautiful large glass jar with its very own lid. The candle already smell divine and exudes decadence without even being lit up. Being in its own glass jar means its also much safer to be burning the candle as they are less prone to falling or melting all over the place. The large candles boasts up to 80 hours burning time so there's definitely value for money here. I've yet to burn mine enough despite my multi days use to get to anywhere near the bottom of my jar - infact I've barely made a dent to it after a few sessions of burning. At this rate I'm sure I may get months of enjoyment from it. Handmade in Australia from food grade wax and comes with a double wick (yes, it is that big) to ensure even burning of the candle. Gives a subtle yet beautiful scent that permeates throughout the room, creating this wonderful fragrant room that seems to come with within as it can be hard to pinpoint the source. The fragrance can linger hours after burning so I still get enjoyment after blowing the candle off. 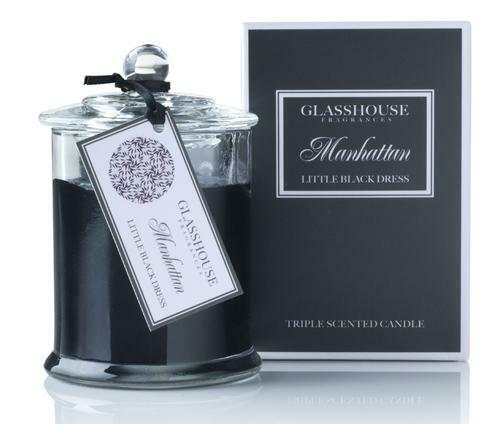 Available in a whole ranges of wonderful unique scents like Manhattan's Little black dress (tulip, orchid & gardenia), Marseille's Gardenia (gardenia, sandalwood, cardamom and casaba melon) and Esperance which exudes subtle Mimosa & Wild apple scents. Each of the ones I've tried are wonderful and unique in their own rights and I burn them all at different times depending on whether I wanted more fruity or floral scents. Next time if you need to de-stress yourself for whatever reason, why not hit up a scented candle and let it take your away to more blissful place. Care to share what else you do when your not feeling the best and need some cheering up? 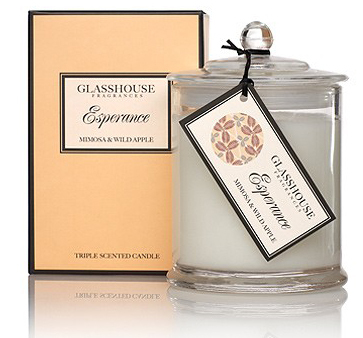 Glasshouse is available in Myer, David Jones, Peter Alexander and selected homeware stores. One of these products were received at the MBBE event. I've gone out and purchased the mini candles to add to my collection. hey there, I was wondering how you get the comment box to automatically appear beneath each post? 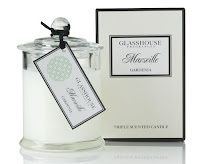 Love Glasshouse, Aromatherapy Co, Sisley, MORS, Crabtree & Evelyn, so many good ones! Hey Akisa - what do you mean? I just used one of the blogger widgets. It's the default one I think. Thanks for all the other recs Val - I'm get through them hopefully soon. I'd love to pick up some of the baby candles, they look so sweet! these candles are fantastic. they are quite strong though. 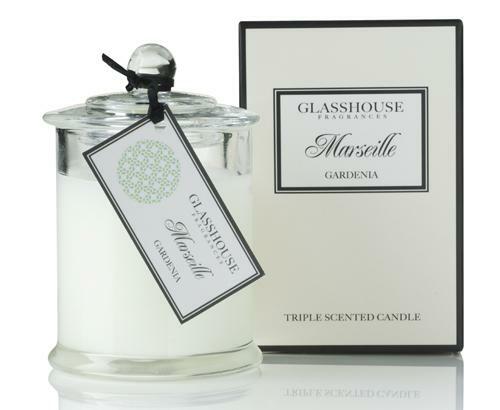 if you like your candles strongly scented definitely give them a go! Review: Is UD Naked Palette worth the hype?